Here you’ll find the latest news regarding the activist academies we’re organizing. Plans to build a stadium in a park in the city of Beirut have sparked protests from local activists. Horsh Beirut is one of the largest green spaces in the city, and could potentially serve as a recreational area for thousands of citizens. However, the park has been closed to the public for over twenty years. The construction of a stadium would further diminish hope of re-opening the park as a public space. A group of local activists, united in ‘Nahnoo’ (‘we’) is fighting for the reopening of Horsh Beirut. They claim that public green spaces are vital to a community, since these are locations where people meet and interact. In a divided society such as the Lebanese one, public spaces can play an important role in community building. Horsh Beirut is located between a Sunni, a Shia and a Christian neighbourhood, which makes it a place where people from these different communities could meet. 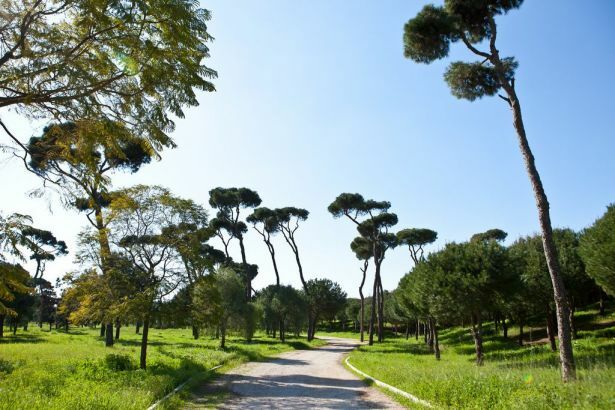 The activists at Nahnoo have worked to get Horsh Beirut re-opened for years, doing tours of the park, staging improvised picnics in the city and organising debates on the subject. This April The Activist Academy will be devoted to the issue of public space. Horsh Beirut and the struggles to reclaim it for public use will serve as an example. The goal of The Activist Academy is to work on concrete action, strengthen an international network of activists, foster inspiration and connection and learn about new tools and tactics for better and improved activism. Stay updated to learn about our program (that is being developed as we speak). Follow us on Facebook and Twitter for more updates and don’t hesitate to get in touch! We have developed this method of co-creation together with Butterfly Works, a social innovation studio from the Netherlands. Co-creation expresses the idea that ‘none of us is as smart as all of us’, that an action plan or campaign will be dramatically improved by involving makers, thinkers, authors and end-user. Public space seems to be back in vogue these days, especially in relation to social protests taking place in city squares and along major streets, occupying and claiming spaces, often violently. Why do public spaces matter in cities? Is the absence or presence of public spaces in cities related to the rise of political and social movements? Can protests happen in cities that lack public spaces? Do public spaces lead to radical spatial politics? Are public spaces a means for political and social change? A new and fresh version of the Activist Academy is coming up! In April, together with Lebanese NGO NAHNOO, PAX will bring together activists to learn, connect and act on a very topical issue for activists: PUBLIC SPACE. During the Activist Academy issues around the topic of public space will serve as a starting point for an exchange between activists from different countries. The goal is to work on concrete action, strengthen an international network of activists, foster inspiration and connection and learn about new tools and tactics for better and improved activism. Stay updated to learn about our program (that is being developed as we speak). In the next weeks, a database with interesting articles and information will be made for activists interested in this subject.